At this stage it is difficult to say how automation will be effected. Ireland has always tended to be regarded (despite our best efforts) to be lumped in with Britain by many automation suppliers. In many cases Irish business is handled directly from Britain rather than within the country itself – despite the fact that not everybody in Britain understands that Ireland is different and not a smaller version of the British Market. There was also the problem of different currencies but that was a problem that pre-dated the introduction of the Euro. ‘Clumsy’ Brexit deal could do lasting damage says EEF. (Process Engineering – 21/9/2016). How Will Brexit Affect Global Supply Chains? Ireland is unique in that there is a land border with the British state and it is our biggest trading partner. What will happen? Ireland an Britain have had a mutual co-operation and passport free travel since 1928 – pre European Union. That is now all has changed. What exactly this will mean? Nobody knows! Britain may become less attractive to foreign investors as it may be cut off from the single market. This will effect Ireland of course. Trade in both directions will probably suffer. Nobody knows! The IET said the vote to leave the EU could result in a number of negative impacts on engineering in Britain, including exacerbating their engineering and technology skills shortage by making it more difficult for companies to recruit engineers from other EU countries, including Ireland. Other issues identified include changes to access to global markets and companies, a decline in funding for engineering and science research, and a weakening of their influence on global engineering standards. Engineering qualifications is another area where things may change. Will the EU recognise British qualifications and vice versa? Probably, but we don’t know! As a straw in the wind we do know that the legal profession may be effected and the Law Society of Ireland has had an extraordinary increase in applications from British Lawers for affiliation as outside of the EU they will not be able to practice in European Courts. Will that apply to other professions? The legal situation at present is that Britain is a fully paid-up member and will remain so until they activate Article 50 application. In reality Britain is being excluded already from important meetings for the first time in forty three years. Future factory – a moderator’s impression! Read-out was asked to moderate the automation stream at the National Manufacturing & Supplies conference held last week outside Dublin. (26th January 2016). In their wisdom the organisers selected “Future Factory!” as a title for this half day seminar and there were 11 speakers organised to speak on their particular subjects for about 15 minutes each. This was replicated in the the over a dozen different seminars held on this one day. Long queues lasted well into the morning to enter the event! We were a little sceptical that this would work but with the help of the organisers and the discipline of the speakers the time targets were achieved. Another target achieved was the number of attendees at the event as well as those who attended this particular seminar. In all between exhibitors, speakers and visitors well over 3000 packed the venue. Probably far more than the organisers had anticipated and hopefully a potent sign that the economy is again on the upturn. Indeed it was so successful that it was trending (#MSC16) on twitter for most of the day. The world of automation has changed to an extrordinary degree and yet in other ways it remains the same. The areas where it has experienced least change is in the areas of sensing – a thermometer is a thermometer – and final control – a valve is a valve. Where it has changed almost to the point of unrecognisability is in that bit in the middle, what one does with the signal from the sensor to activate the final control element. From single parameter dedicated Indicator/Controller/Recorders in the sixties which transmitted either pnuematically (3-15psi) or electrically (4-20mA). Gradually (relatively speaking) most instruments became electronic, smaller in size and multifunctional. The means of communication changed too and fieldbus communication became more common to intercact with computors which themselves were developing at breaknech speed. Then transmission via wireless became more common and finally the internet and the ability to control a process from the computer that we call the intelligent phone. There are problems with these latter, internet/cellphone, of course. One is that the reach of the internet is focussed at present on areas of high population. Another is the danger of infiltration of systems by hostile or mischivous strangers. The importance of security protocols is one that has only recently been apparent to Automation professionals. Maria Archer of Ericsson spoke on the enabling and facilitating IoT in the manufacturing industry. Diving straight into topic she drew on her experience of big data, e-commerce, media, cyber security, IOT and connected devices. The second speaker was Cormac Garvey of Hal Software who addressed Supply Chain prototyping. The Supply Chain ecosystem is incredibly complex, usually requiring significant integration of each suppliers’ standards and processes to the manufacturer’s. Cormac will introduce the concept of supply chain prototyping, where easy-to-use, standards-based technology is used to wireframe out the entire supply chain ecosystem prior to integration, thus significantly reducing cost, time and risk on the project. This wireframe can then be used as a model for future integration projects. Two speakers from the Tralee Institute of Technology, Dr. Pat Doody and Dr. Daniel Riordan spoke on RFID, IoT, Sensor & Process Automation for Industry 4.0. They explained how IMaR’s (Intelligent Mechatronics and RFID) expertise is delivering for their industrial partners and is available to those aiming to become a part of Industry 4.0. Smart Manufacturing – the power of actionable data was the topic addressed by Mark Higgins of Fast Technology. He shared his understanding of the acute issues companies face on their journey to Business Excellence and how leveraging IT solutions can elevate the business to a new point on that journey. Assistant Professor (Mechanical & Manuf. Eng) at TCD, Dr Garret O’Donnell, explained how one of the most significant initiatives in the last 2 years has been the concept of the 4th industrial revolution promoted by the National Academy for Science and Engineering in Germany- ACATECH, known as Industrie 4.0. (Industrie 4.0 was first used as a term in Germany in 2011). Another speaker from Fast Technologies, Joe Gallaher, addressed the area of Robotics and how Collaborative Robots are the “Game Changer” in the modern manufacturing facility. Dr. Hassan Kaghazchi of the University of Limerick and Profibus spoke on PROFINET and Industrie 4.0. Industrial communications systems play a major role in today’s manufacturing systems. The ability to provide connectivity, handle large amount of data, uptime, open standards, safety, and security are the major deciding factors. This presentation shows how PROFINET fits into Industrial Internet of Things (Industrie 4.0). The CEO of NSAI, the Irish National Standards Authority, Maurice Buckley explained how standards and the National Standards Authority of Ireland can help Irish businesses take advantage of the fourth industrial revolution and become more prepared to reap the rewards digitisation can bring. The next two speakers stressed the impact of low forecast accuracy on the bottom line and how this coulbe be addressed. Jaap Piersma a consultant with SAS UK & Ireland explained that low forecast accuracies on the business performance is high in industry but with the right tools, the right approach and experienced resources you can achieve very significant result and benefits for your business. Following him Dave Clarke, Chief Data Scientist at Asystec, who mantains the company strategy for big data analytics service development for customers. He showed how are incredible business opportunities possible by harnessing the massive data sets generated in the machine to machine and person to machine hyper connected IoT world. The final speaker David Goodstein, Connected Living Project Director, GSMA, described new form factor mobile SIMs which are robust, remotely manageable which are an essential enabler for applications and services in the connected world. All in all a very interesting event and useful to attendees. Papers are being collected and should be available shortly on-line. It is hoped to do it all again next year on 24th January 2017- #MSC17. Lightening disconnection prompts slow musing! Following the devastating storms (for Ireland) and the destruction caused to infrastructure and property near the coastline we have had time to consider talking about something we suddenly found ourselves without! 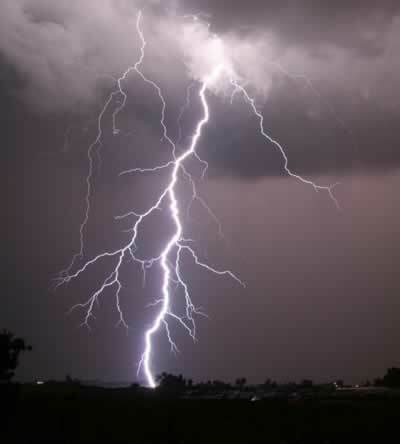 Here in the Read-out office we were not left unscathed and a very loud thunder clap – obviously preceeded by a lightening strike – put paid to the interior of our working computer. It also appears to have put paid to our connections with the outside world and we were without our land-line and our usual internet connection for ten days. Mercifully no information had been lost but there is little that we could do with that information in the modern world without a reliable and speedy internet connection. We have been connected in one way or another to the internet for twenty years. It was in 1994 that we became the 700 customer on Ireland-on-line (the iol.ie in our e-mail address). It was a dial-up service – remember dial-up? At the time of joining up there were three subscribers to our print publication, Read-out, who had e-mail addresses. Hard to imagine! The following year we started the Read-out Instrumentation Signpost which basically was a collection of links to the then few automation sites available. Gradually as more resources became available we assembled a website of links and briefly an Instrumentation Directory, which over the years has grown less important as the search-engines have become more sophisticated. All the developments we talk about here would have been impossible had not the net been freely available at little or no cost. The big player and the one man band have equal access to the basic platform. Where the web-site presence has flourished is in the provision of product, people, application and company news, editorial and comment. At first we linked to stories we found in various places on the web. As things progressed we realised that we received many press releases from vendors and technical innovators which we were unable to include in the limits of a 12 to 16 page periodical and thus we progressed to publishing them on our blogs. Mostly these are included on the blogger platform where they are lightly edited. More technology based and opinion pieces are put on the WordPress platform (You’re reading this post on it!) To date we have put up well over 5000 stories and articles. As the internet grew and developed so to did the business of business, change, and change radically. One of the little books that we found useful was by Seth Godin, called “Meatball Sundae”, mostly because this new thing is turning everything upside down and putting seemingly incompatible principles and ideas together and coming out with something that turns out to be brilliant. We wrote about it in one of our first blogs! However for engineers a lot of this is in a way counterintuitive and contrary. Engineers like to know how things work and to be able to predict outcomes. The left brain skills (engineers & scientists) versus the right brain skills (artistic and creative) is in full play here. For those a useful volume is Di Pietro’s ‘Social Media for Engineers and Scientists,‘ which we recommend highly. We first got on-line in the early nineties to access information on the International Society of Automation website, which had and has lots and lots of useful information on the discipline available free of charge to members. This was available not through a browser as now know it but through a platform called Telnet. There were no pictures just simple text. The connection was a dial-up one, it was incredibly slow but very exciting. Here we were in Ireland looking at material live in North Carolina USA. Our methods of communication were through “list-serves” where one joined a group and emails were sent to a group address and distributed to those on the list. There were also on-line communities where messages were left and looked at and responded to by members at there leisure. However as the world wide web enveloped the internet the telnet platform faded and a new platform called a browser made its appearence. Names like Netscape and Mozilla became common parlance and it wasn’t long before the giant Microsoft Corporation introduced the daddy of them all Explorer. But things wax an wane and now while we still have Explorer but also Firefox, Chrome and Apples Safari and of course dial-up is never mentioned in polite society. It is broadband, speed and “always-on” internet that is the norm now. It is hard to imagine life without the internet now. The advent of social media has changed things yet again. First facebook came along and people started to share their lives with the world. It quickly developed into an incredible mismatch of things, what people had for breakfast, things that amused them, the pet gripes, politics, religion, pictures of their pets, holiday experiences. What it has turned out to be is a vehicle for communication between people who will in fact prabably never meet or with relations they would otherwise have lost conntact with. But from a business point of view it could also be useful. We quickly found the our personal page was fairly useless, as there was so much noise from people not concerned with the latest automation widget and/or with personal stuff. Few automation engineers really want to know if your child became champion cheerleader in the school or what you had your favourite eating house! Happily Facebook had an answer to that in what they used to call “fan pages”, these pages are dedicated to particular topics, hobbies etc to which interested people may indicate an interest by “liking” them. Thus the Read-out Facebook page has some people who follow the writer’s personal page but many more who do not! Our automation blog stories are automatically posted to this facebook page. This can be an invaluable tool. We use it (@ReadoutSignpost) to publicise stories as they are published. We also post other material (mostly in Irish) that interests the writer. We decided early on that it would be impractical to open two twitter accounts one for business and one for everything else. The messages are basically enforcedly short (max 140 characters including URL) and so they can be easily dismissed if not of interest. Twitter however is also useful because with the advent of intelligent phones tweets often relay breaking news far more quickly, though not always with accuracy, than more conventional methods of media communication. One example on our discipline is how this writer learned of the arrival of Stuxnet, the first malware discovered that target automation systems. Gary Mintchell, then of Automation World, tweeted brief details in July 2010. Had he not done so we would not have been alerted to this very important story and read and shared (with many others) the first reports and studies of the implications of this important event. We have assembled a large collection of links to pages, reports, papers and videos on our popular ICS & SCADA Security page. 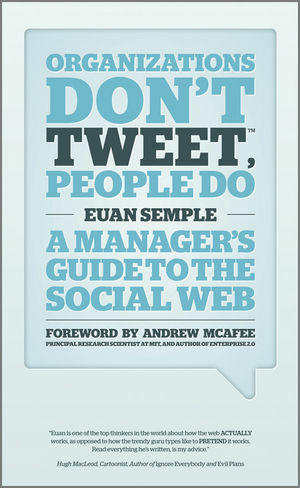 One important thing to remember about twitter (and social media in general) is what Euan Semple says “Organizations Don’t Tweet, People Do!“ Indeed if you are ambivalent about the use of social media his book of the same title could be invaluable. Many times the one man band is far more effective that the large corporation and I think the reason for this is because he/she IS people. The most successful participants, it seems to me, are those who regularly participate with interesting material and telling a story. Few large corporations trust their employees enough to allow this freedom which is the essence of social media. Another important thing about twitter is that it is said to have a half-life of 4 hours, unlike facebook which goes on forever. No matter what platform one posts on, one must always beware what one posts as who knows it may come back to haunt you! LinkedIn is something we have come to late in the day. It was called the “Business version of facebook!” but in reality this writer could not get it. Fine if you were looking for a job etc. Because of its reputation we did “join” it early on and many people became “contacts.” But recently we started our own group, the Read-out Signpost News, and this is another vehicle for us to spread the Read-out news pages. We haven’t been there long enough to gauge reaction but we have garnered some further contacts in many different corners of ther globe. There are some useful discussion groups on topics, like Cybersecurity, there which to a large extent mirror the old list-serves as they enable daily, or weekly reports of the items that have been shared be posted to your email address. In a way a periodic newsletter! Quite useful. I am like many people on the internet. I don’y know what Google+ is about. Chris Rand in his Bmon newsletter summed it up nicely recently “My guess is that whatever social networks you use personally, and whatever you’ve introduced into your company’s marketing, Google+ is not going to be amongst them, except as a token gesture at best.” Read his short daily one day last November, “I admit it. I still don’t know what Google+ is all about.” and you’ll understand what I mean. There are other platforms like YouTube which as yet we have not ventured into but a lot of companies, including automation enterprises, are becoming involved with varying degrees on success. The important this is regular posting of interesting material. Without a doubt the internet has changed our lives. When the first commercial Read-out hit the Irish highways and byways we little thought that we would become so well known in the world-wide automation and control community. We have regular visits to our site from places as far afield as Norway, (indeed more people visit our site from Norway than almost any others country except the USA), India, China and the Ukraine, Germany, the USA, Britain and France as well as Ireland. We learn of news, mergers, important technological events and achievements at a speed inconcieveable in 1989. 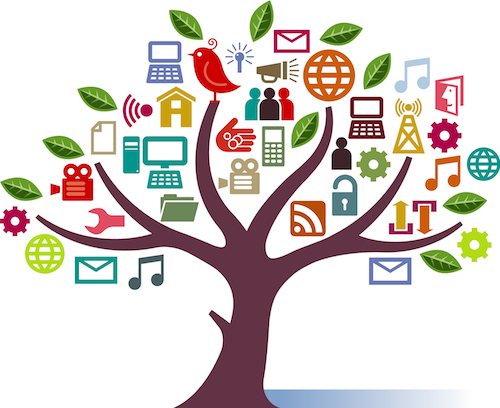 We share that information with the whole world through the various platforms on the web. We engage with our automation friends and acquantances all over the globe in previously impossible ways. And sometimes we get to meet them at exhibitions and conferences and have no need for the preliminaries of getting to know people because if we realise that “Organizations Don’t Tweet, People Do!” then we do know them already! Did you meet us last year? At the end of the year it is customary to look back and see how things were. Statistics is one of the ways we can look back. 2011 was a difficult years for many. Budgets were trimmed (to put it politely!) and many enterprises, especially in Europe and the United States felt the cold wind of reality sweep through places never thought accessible to such things. The phrase “safe as a bank” continued to have a hollow ring. Politics oscillates from stalemate to inactivity to vicissitude to indecision in those countries, while in others, tumult on the streets lead to sudden changes in government. Here in Ireland the national television service RTÉ had a programme called “Now that’s what you called News!” which was an “overview of what news we as a nation searched for online throughout 2011 in the privacy of our own homes, on our own laptops, on our own smartphones.” Some of these items are predictable but others are a surprise! (Hopefully people outside of Ireland will be able to view this – please advise us if not!) Few organisations have really understood this great shift, still less how it impacts on their own enterprises or lives or politics. If we feel a bit hopeless or plunged in the gloom maybe we could do worse than read Seth Godin’s last contribution in 2011 and view 2012 as the Chance of a lifetime!. The automation sector would appear to have been spared the worst excesses of this trauma by maintaing a steady as she goes approach. In past recessions this sector seemed to track by some months what happens in other sectors. This time thus far this has not appear to have happened. But what will happen in 2012. Will the developing parts of the world, China, India, South America take up the slack in other areas? Here at Read-out the years has been a bit like the famous curates egg – good in parts! 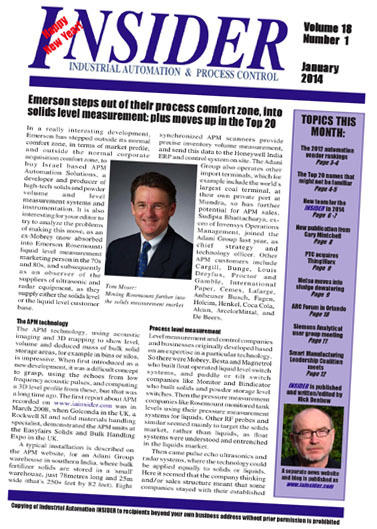 The print edition continued to be published and distributed to around 2000 automation professionals in Ireland. From a circulation of about 500 when it started life in the 1970s as a house magazine for Industrial Instruments Ltd it progressed to being an independent publication in 1989 with a circulation around 800 and quickly grew to over 2000 which we reckon is as close to the size of the market as can be achieved. (We reckoned at the time that if an equivalent magazine had the same penitration in their respective markets it would achieve 240,000 in Britain or 800,000 in the US). We started on the web in 1995 with a very simple one page information digest but this soon developed into the large site now which is visited by over 17,500 people per month. More recently in mid 2009 we started blogging and there we have been able to track a growth through the months from a small base of 60 visits to today’s figure of over 3000 per month. The bulk of visitors come from North America (of which US comprised over 80%) then by Europe (29% UK and 12% Germany) followed closely by Asia (India 42%) and then South America (Brazil 40%), Africa (Egypt 42%) and then Oceania (Australia 100%). I’m not sure how reliable these figures might be. For instance Australia has 100% of the visits from Ocenaia whereas I know that we did have some visitors from New Zealand. And what were the blog stories that people found most interesting? Here we find things that we don’t understand fully. Why are some pages which we find interesting down the list? Why do some old pages continue to hold sway on these lists? We list the leaders here and perhaps you can make it out. Most readers read 1.5 stories per session! 1. Developing a 3D Optical surface profilometer (Jan 2011) – a account of a project using NI’s LabView in Dublin City University. 2. Number two has been a paper which is consistantly in the top of our stats since it was first published. This is Emerson’s Sarah Parker’s paper Radar level measurement best practice (Sept 2010). 3. A paper from Mike O’Brien of Newson Gale is a close third in the views in 2011. This is on Static earthing protection for road tankers (Nov 2010). 4. The next three in the list are close together too. Wireless strain gauge sensors (July 2010) is about a new wireless telemetry system for strain gauge sensors from Applied Measurements. 5. The great story of the past two years has been the long overdue penetration of automation security by Stuxnet and “Son of Stuxnet.” This blog was inspired by a tweet from Byres Security which decried the security commitment of one of the giants of automation as “abominable!” Abominable security commitment! (Aug 2011) also includes links to the many blogs and articles we have been able to find on this important topic. 6. Stuxnet – not from a bored schoolboy prankster! (Sep 2010) is Nick Denbow’s take on this malware first published in his Industrial Automation Insider. 7.Growth in World SCADA market is the subject of another story on a report from Frost and Sullivan (Dec 2010). 8. Our story on developments in Invensys in July 2009, Taking Invensys seriously! continues to draw readers – though things have moved on since then! 9. Level detection of foaming media is the problem addressed in this August 2010 contribution from Baumer. 10. Tree Safety (Feb 2011) discussed a method of testing the roots of trees alongside highways using a sensor adapted from helicopter technology by Sensor Technology. The fact that Security and Stuxnet feature in this list is also reflected in the most popular searches include “USB Stick” and “Security” as the most popular by far of all searches on the site. Most of the referrals to the site come from search engines but also a large number of our facebook page and (perhaps surprisingly) Control Global. Sometimes people are so interested in a product or news story that they click forward to the page of the company or service. Again these may surprise with Frost & Sullivan heading the list with Applied Measurements close behind with Long Watch’s fascinating video of an oil leak and Wikapedia on Stuxnet! All in all however most automation professionals seem to be happy enough to read these items and go on to other stuff. One of the things that is perhaps a little disappointing is the number of comments or interactions from all these visitors. We welcome these but not those which seek to advertise products or seek followers (“I found your blog fascinating and will visit it regularly from now on!”). If a visitor wishes to have their product or service or appointments or other company or technology news mentioned the best way to see it on-line here is by sending an email to readout@iol.ie. We thank those who have visited us during 2011. We particularly thank those who provided us with material or who generously supported us with advertising and sponsored our journeys to those events we attended. Would you believe? Figuring numbers! I don’t know what it is but statistics and percentages have always fascinated me and most days I look at simple figures related to the number of people who read the Read-out (and my personal) blogs not to mention those who sign-up to follow us on facebook, twitter and linked-in. Every so often I blog about these but the fascination continues. The last time was in February of this year – Of pages, blogs and stats, and a a year earlier and in more detail we spoke of, Lies damn lies and statistics (Jan 2010). Algorithms of search defeat us! I have not got into anything too sophisticated, things like SEO (Search Engine Optimisation) and stuff like that which I am inclined to leave to the experts. 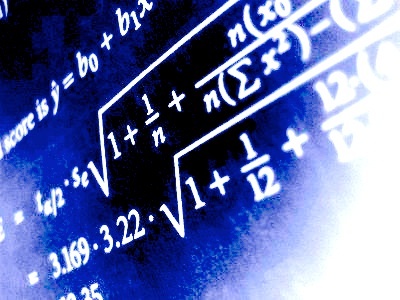 In fact what little I’ve seen (or understood) of these things seem in some ways fruitless because Google (and presumably other search engines) seems to change the algorithms they use just as soon as anyone seems to be getting the hang of how their calculations are made! I suppose one could say that statistics are the “old way” of measuring things! It used to be the only way of measuring reaction to what was published on the web, and it does do that! However they are somewhat impersonal when one considers what the web and the internet has become. 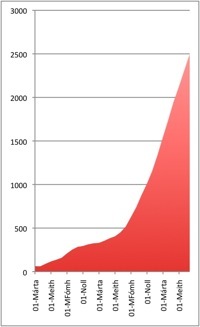 Now that everyone is a potential publisher or webmaster numbers possibly become less and less relevant. The market has shrunk as it has grown! Seth Godin asks the question “What does the world look like when we get to the next zero?” in his blog Consumers and Creators. In any case I enjoy statistics, especially if they can be interpreted favourably, and they nearly always can! Read-out has never shied away from giving these stats and have maintained archive of statistics of visits – sessions – hits since the start of the century. These show rises and falls over the years. Take a look, starting at this years stats to date. Sometimes there is a big surprise in which items achieve the most visits, sometimes not. For instance the most looked at blog in the last seven days is Abominable security commitment! (11th Aug’11) And it is also the most looked at during the past month. Not surprising really with all the controversy and worry around Stuxnet and its implications and the work of Eric Byres and others has been invaluable to the automation sector. The number of people visiting this particular item has no doubt been helped by an item and link in Control Global last week – Stuxnet Overview! 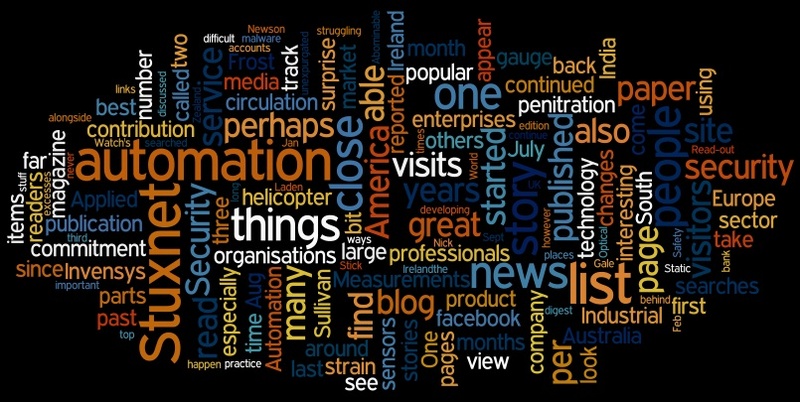 However when we look at the past year – or indeed at the whole period since the inception of our WordPress blog site (March 2009) the most visited blog has been a paper Radar level measurement best practice (10 Sep”10) by Emerson’s Sarah Parker. I certainly could not have predicted that. As always I suppose the interesting places perhaps are those in secondary positions in the field, creeping up, as it were, on the front runners. 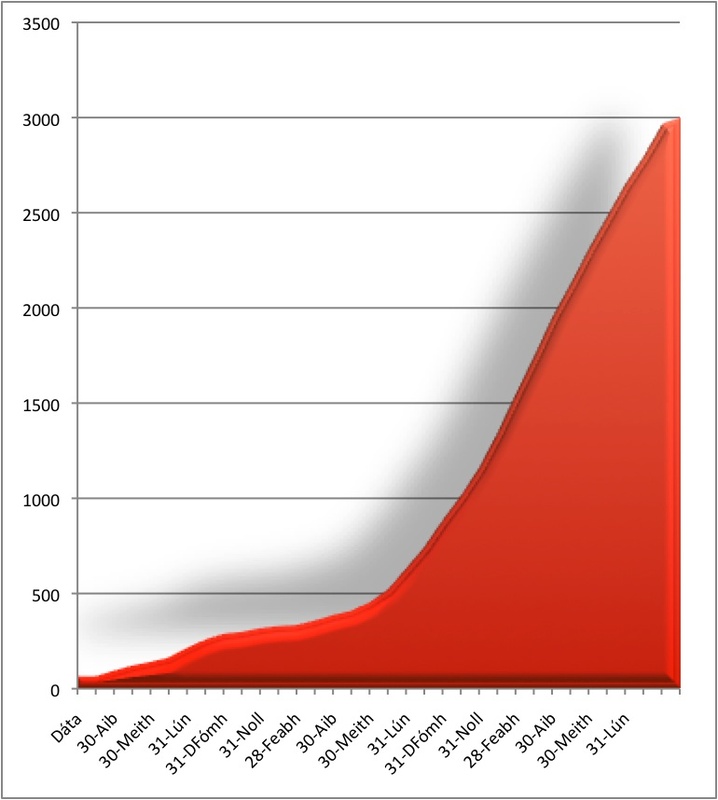 Average monthly visitors to Read-out blogs! Looking at the All Time figures well number two is again a Stuxnet page, this time Nick Denbow’s Stuxnet – not from a bored schoolboy prankster! (27 Sept’09). So I guess we should continue to keep an eye on anything to do with security. This is followed by a story Taking Invensys seriously! (2nd July’09) on the belief that that company was “poised for a renaissance.” Jim Pinto’s recent item Invensys for sale, in his newsletter no doubt will lead to more blogs on this company. This is followed by an article from Newson Gales’s Mike O’Brien, Static earthing protection for road tankers (26 Nov’10). Is there a pattern emerging? I’ll leave that to you dear reader to decypher! Of course most of these figures are false in one way or another because by far and away the most visits are paid to the story of the day which obviously changes from time to time. Today’s story may be looked at frequently but without too much time consuming work I can’t work out over a period which story has the most “look-at” stats while they were the “home page” or the page looked at if the visitor just goes to the blog willy nilly. So how are we progressing – blog wise – in the statistics stakes. As we said we started blogging in March 2009 and since then have been fairly consistent in our blogging stories with what can be said to be an eclectic mix of automation stories or at leaset loosly related to that discipline. From low of 62 in that first month we have progressively climbed to an average of 2500 per month. Whether that is good bad or indifferent I leave others to decide but indubitably 2500 is a better figure than 62! And what about the other social networking platforms? I’ve been on twitter for nigh on two years and the number of followers has steadily grown, not exponetially but the numbers exceed 400 now and there is a steady increase of a few a week of relevent followers. We do get the odd follower collector but I do take a look at each newbie and block those who are merely selling recreational and other drugs, themselves or just like to add people to their list. We don’t list aor link all our blogs here but those we think will particularly be of interest. We also put some personal links (in several languages!) here but Read-out related material will be in English or American. In fact I notice rater alarmingly that I have tweeted almost 5000 times since I started. The Read-out facebook page is where all our blogs are listed as they are uploaded. In some ways this was the most disappointing of all the social-media sites in that it took a very long time to take off. We got about 30 “likes” in the first few weeks and then it crawled up to the current level of 112. It has a nice feature though in that this can be included in a box on our website which shows the latest two or three stories and has a scroll-up/down feature. (I also have a personal facebook page which is usually purely social, hobby and family stuff and for revealing personal peeves!) See Jon DiPietro’s 7 Reasons to Include Facebook Fan Pages In Your Marketing to understand the marketing importance of having a facebook presence. LinkedIn is our latest social media presence. I actually haven’t yet worked out how fully to use it properly though the number and type of followers accumulated is by far and away the most and the most relevant to automation. Currently standing at about 420 “connections” it is also the place where I find more Irish automation people than either facebook or twitter. All tweets are automatically posted on my LinkedIn site. On occasion we have looked at the possibility of measuring email effectiveness. How many people actually read your e-newsletter? This blog from Chris Rand, Open Rate: just an indication that your emails arrived, expresses our feelings exactly. In passing the figures for our read-out.net main website remain relatively stable now at an average of around 15000 visitors looking at 40000 pages. Google’s Ill considered decision creates uproar! One of the most useful programs offered by Google, and one which is used by Read-out frequently is Google Translate. It is particularly useful is identifying the general meaning of communication and websites which we use from time to time in languages other than English particularly in French, Italian, Dutch, Spanish and Portuguese, though we have used it for Russian and other languages as well. The translation offered are sometimes picturesque but generally it is easy enough to extract the general drift of meaning and enables an initial decision whether to follow up or leave an item. There is now some agitation for the Google Translate API to be mantained especially for non-profit organisation and educational establishments. As we write this we have come across an article in praise of translators. “Treasure your tech language translators” which is of course is a different type of translation which Google or other translators cannot hope to emulate! It is the transmission of the vast area of knowledge that is contained in the minds and writings of automation professionals and making it available to their colleagues throughout the world. You are currently browsing the archives for the Read-out category.